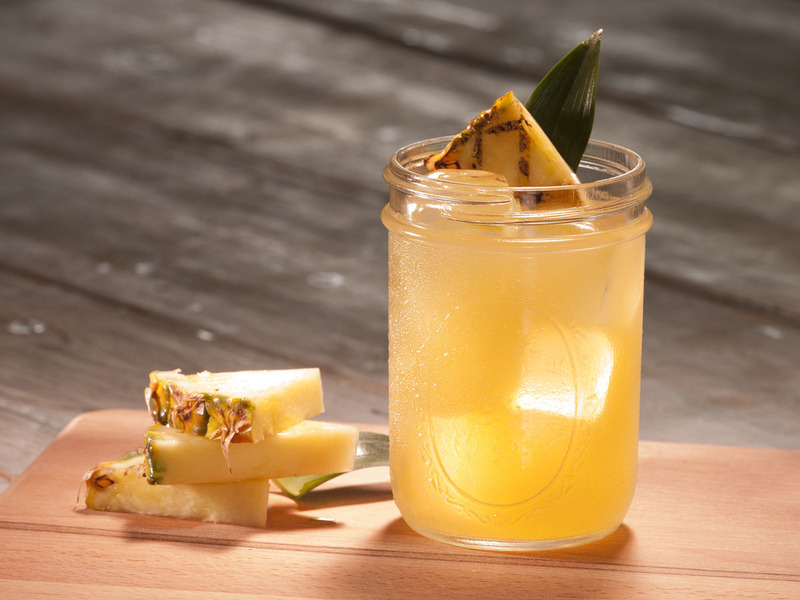 Reserve pineapple wedges and add remaining ingredients to an ice filled shaker. Shake and strain over ice into a mason jar or margarita glass. Garnish with wedges of grilled pineapple. Leaves from pineapple optional.